Our sweet 13-year-old Sammy had a home with his best dog friend, but when his best dog friend died, Sammy ran away and never looked back. Sammy took up residence in a nice subdivision, and refused to be caught. He even stepped over trip plates to get the bait food! After many attempts, Sammy was eventually caught by hand, and his old owners agreed that Sammy should live out his life at The Devoted Barn. We often pair Sammy up with nervous dogs and dogs going through an adjustment period because of the calming effect he has on other animals. 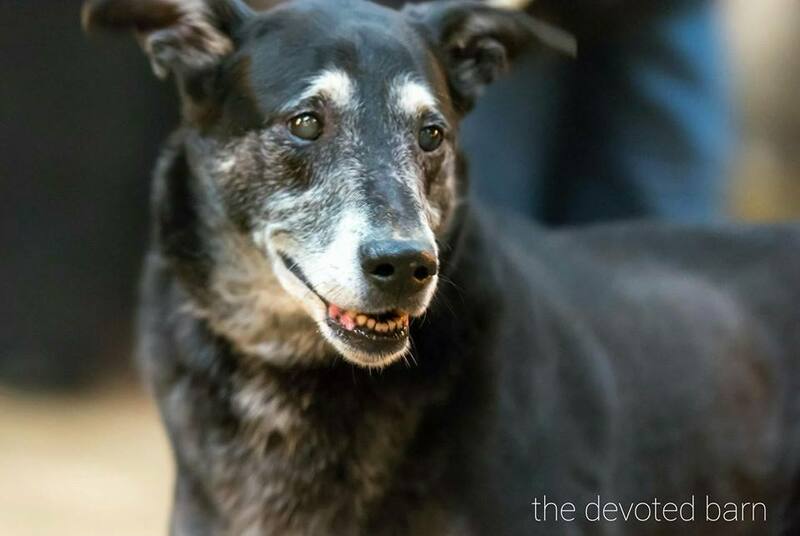 Old man Sam is incredibly sweet and gentle, and we’re very happy to have him with us at The Devoted Barn.